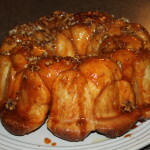 Overnight Monkey Bread Recipe, A Quick & Easy Bread Everyone Loves! 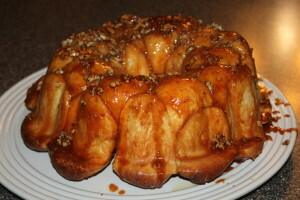 Overnight Monkey Bread isn’t just for Christmas any more! We have two ‘go to’ breakfast recipes that we prepare the night before for easy baking in the morning. What a perfect way to feed your family or a small crowd for breakfast/brunch. Monkey bread – quick, easy and delicious! Our recipe for Overnight Breakfast Casserole is a big hit, not only by our family, but by many of our readers as well. 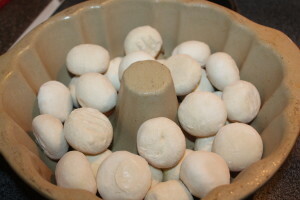 In fact, it is one of our most viewed recipes. 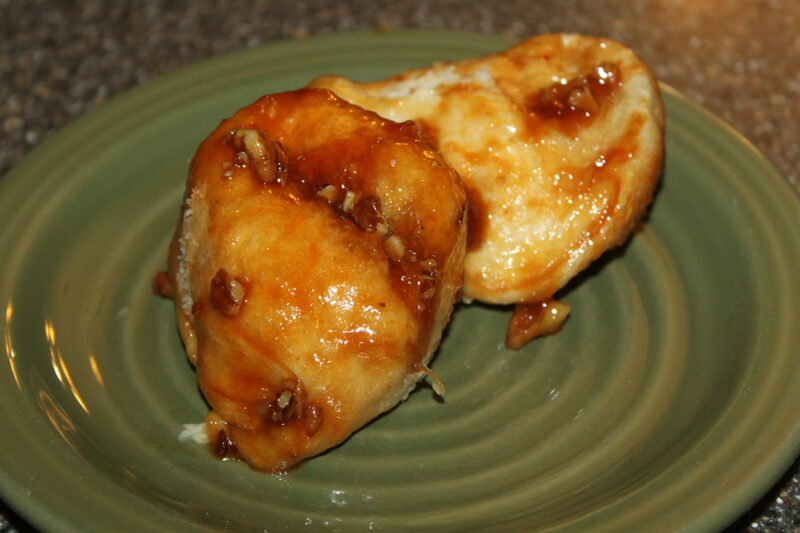 But for those who would like a sweeter treat – one that resembles a mix between a donut and an iced cinnamon roll, then this recipe is for you. Pull apart the rolls to eat. We have been making this recipe for several years, calling it anything from monkey bread, sticky buns, or pull apart bread. You can make it in a traditional bundt pan, however, if you don’t care about a fancy presentation, then an 9×13 pan works just as well, and it is a little less messy to eat when prepared this way and it actually cooks a little more evenly. 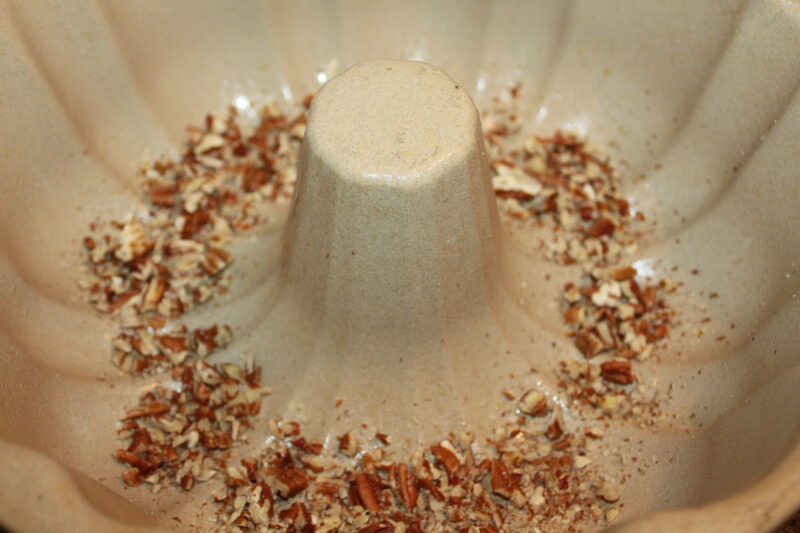 Get creative and add other nuts, raisins, apples, etc.. You can even roll the dough in a cinnamon and sugar mixture if you prefer. So as you are making that final trip to the grocery store this week, don’t forget to pick up some extra dinner rolls – you are going to need some for breakfast! Add frozen bread rolls and sprinkle pudding on top. 1. Sprinkle pecans in a greased bundt pan. 2. 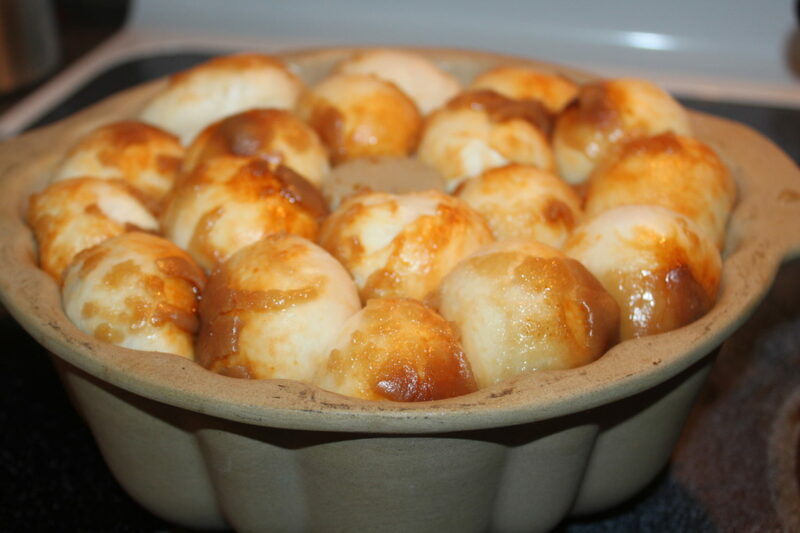 Place frozen dinner rolls into pan. 3. Sprinkle with butterscotch pudding. 5. 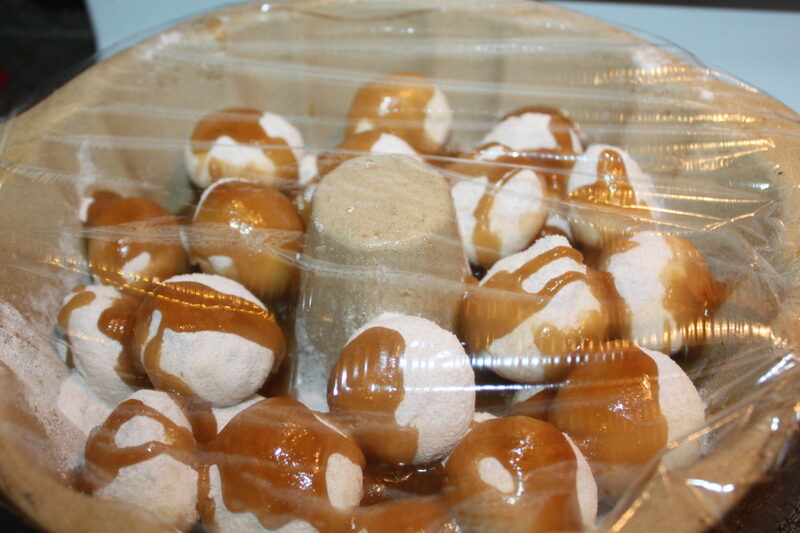 Cover with plastic wrap and let sit overnight. 6. In the morning, preheat the oven to 350 and bake on a lower rack for 30 minutes. *Hint: place a cookie underneath to catch any drips. 6. Remove from oven and let stand for 5 minutes (no longer). In the morning you will find the rolls have risen and are ready for the oven. 7. Turn over onto a plate big enough to catch all the extra syrup that will spill out of the pan. 8. Pull apart to eat. In the morning, preheat the oven to 350 and bake on a lower rack for 30 minutes. *Hint: place a cookie underneath to catch any drips. Remove from oven and let stand for 5 minutes (no longer). Turn over onto a plate big enough to catch all the extra syrup that will spill out of the pan. ← Ranch Cheese Ball Recipe – Quick And Easy To Prepare!